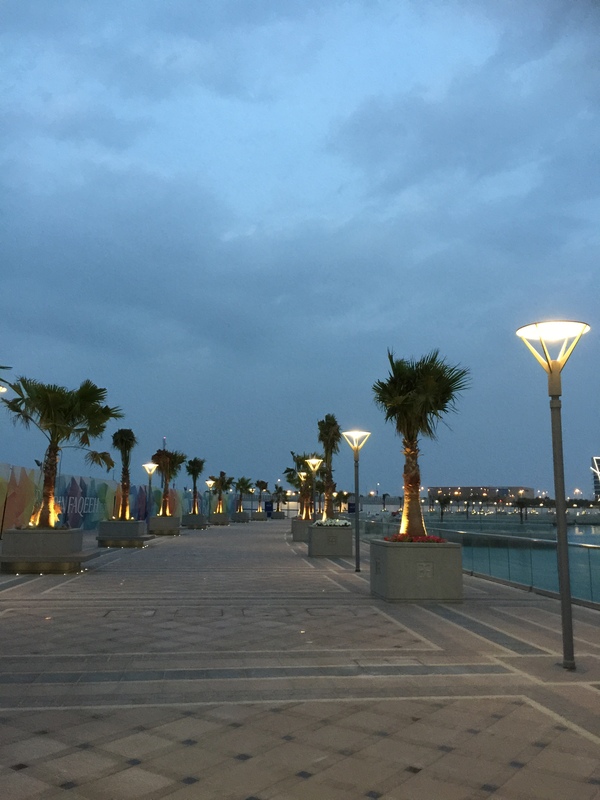 Saturday, the 25th of February will witness opening of the promenade, a waterfront walkway coinciding with the launch of the Bahrain Food Festival at Bahrain Bay. With the participation of 54 restaurants, the festival is all set to tickle the taste buds of visitors taking them through a trail of diverse flavors as well as several entertainment activities. Organized by the Bahrain Tourism and Exhibitions Authority, the 10 day event is a culinary exhibition that encapsulates and reflects the multicultural dining environment of Bahrain. Connected by a pedestrian bridge over an intersecting canal, the promenade stretches in a semi-circle across the Four Seasons Hotel and includes kiosks by known food and beverage brands such as Wafflemeister, Naseef, Craves and Bites Corner Café. Join us at the Promenade to savor the delectable offerings in a scenic setting of calm waters with spectacular views of Manama’s landmarks for an unforgettable experience.